Home /Business/Pearle Vision – Franchise for Eye care and eyewear. Pearle Vision was founded in 1961 by Dr. Stanley Pearle with the one-stop concept. In Savannah of Georgia, he opened the Pearle Vision Center with total eye care where he combined an exclusive eyewear selection for complete eye exams. To select opticians and doctors, he then began franchising in 1981. Today, Luxottica owned Pearle Vision. Alex Wilkes is the CEO of Pearle Vision. 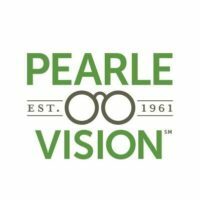 They are seeking new units of franchise throughout U.S..
To cover startups costs, franchise fee, accounts receivable, payroll, equipment costs and inventory costs Pearle Vision maintains third party sources relationships which offer finance. It also offers in-house finance to cover inventory costs.